Finding a quality dermatologist may seem like a difficult task. After all, many communities have a number of qualified skincare professionals. However, there are tips that you can use to find a dermatologist who meets your specific needs. The first and perhaps most important tip is to find a dermatologist who has received the proper training. Unfortunately, some people decide to open up a practice and call themselves a dermatologist even though they are not dermatologists by training. That is not to say that these individuals do not have professional training, but they may not have the skin training that you need. 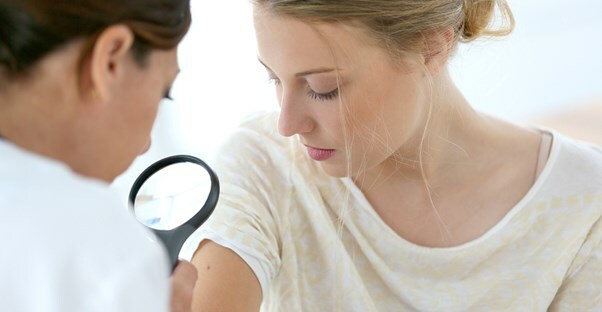 A helpful way to proceed is to check whether the doctor has received certification from the American Academy of Dermatology or the American Board of Dermatology. Both of these institutions have high standards and recognize qualified dermatologists. Another tip to consider while trying to find a dermatologist is the individual or team who does the laser work with a dermatologist. Remember that laser work can be very delicate and intense. It takes a true professional who has been adequately trained and approved to do such delicate work. Avoid clinics that staff individuals who have never taken any laser instruction and do not have the proper medical training. Find a dermatologist who has been in practice for a number of years. A professional with plenty of experience under his or her belt is a good indication that the individual knows what to do in terms of skin care and is experienced. The experience can come in beneficially if there is a condition that is hard to describe or has not been diagnosed by other professionals. Not only that, but an experienced dermatologist knows some of the best skin care products that can reduce a rash or help with the fight against acne. Advertisements seem like a good way for a consumer to learn about available skin care professionals in the area. At the same time, it can be troubling when a professional is actively touting a certain skin care product that may seem like an infomercial. In addition to this, frequent advertisements to the community can demonstrate that the practice does not have enough patients. Remember that new patients come to successful practices primarily as a result of family members or friends who have recommended the practice or individual. Finally, it can help to meet with the dermatologist. He or she should take the time to meet with a prospective patient and listen to the thoughts and concerns that he or she has. If you find a dermatologist who is hard to establish contact with or does not come across well during the meeting, this can indicate that the individual is not a good fit for you.